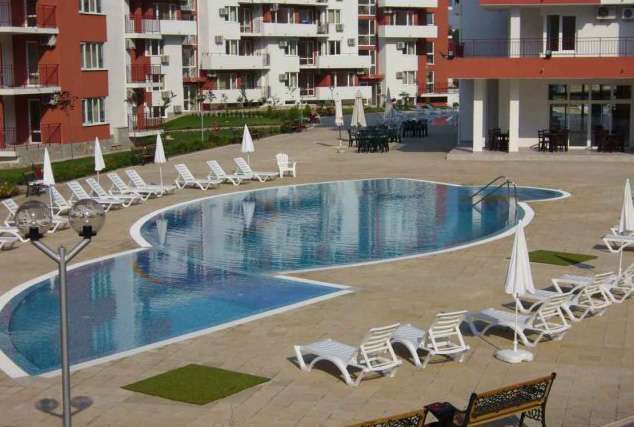 A beautiful apartment situated on the highly regarded Fort Noks Grand Resort. Marina View Fort Beach is a fabulous complex just outside the village of St. Vlas and is part of the Fort Noks Grand Resort on the Black Sea coast. 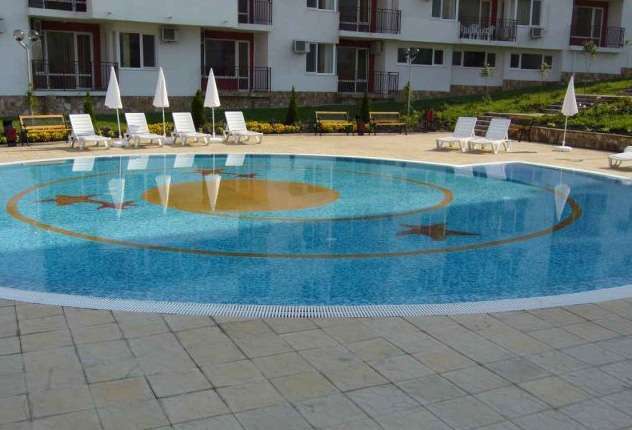 The complex has great facilities on-site and owners can use the facilities in the other complexes if they wish, this is the perfect place to buy a holiday home in Bulgaria. The apartment is located on the second floor and has a double balcony with stunning views over the forest. The hallway has a handy storage unit and the lounge area is spacious with sofa bed and dining area. Also in the lounge are patio doors leading onto the balcony which is perfect for outside dining. The kitchen is fitted with everything needed for self-catering and the bathroom is fully equipped and comes complete with a water heater. The apartment has full air conditioning and is tastefully decorated and furnished with the capacity to accommodate up to 4 people comfortably. 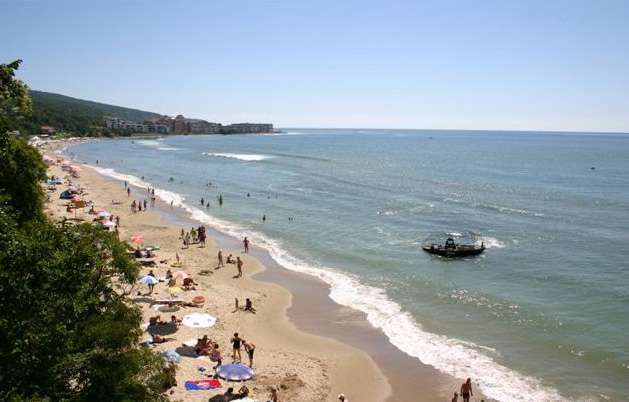 Robinson's beach is only a few mins walk from the apartment and the popular resort of Sunny Beach is only 10 mins away. From the complex, there are magnificent views of the Bay, taking in Sunny Beach and the ancient town of Nessebar and buses regularly travel to the other resorts in the area. 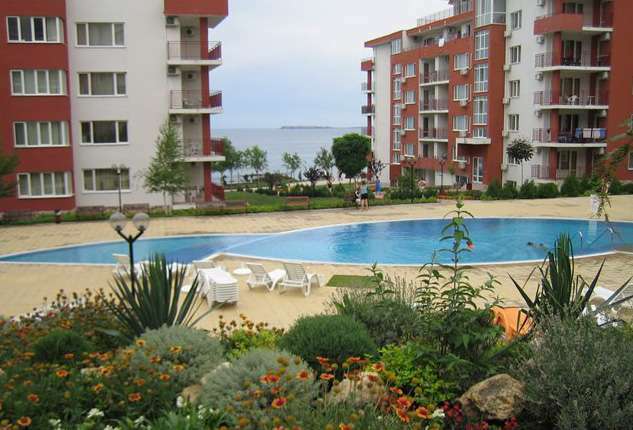 The centre of St. Vlas and the marina are within walking distance of the complex with good restaurants, cafes and bars and the Aqua Park is close by in Elenite. 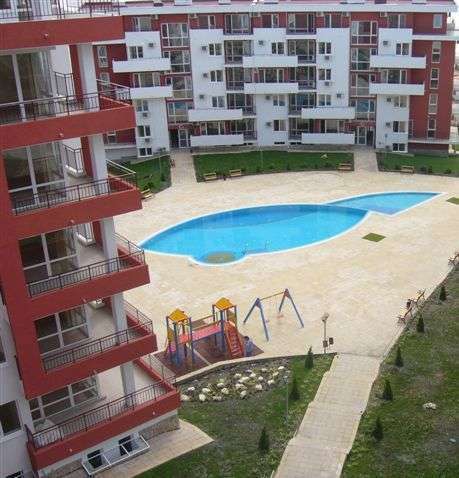 This apartment for sale in St. Vlas is in the perfect location with Bourgas Airport only 30 km away. Lounge: double sofa bed, TV with stand, dining table with 4 chairs, a coffee table and laminated parquet floor. Kitchen: microwave oven, electric hob, toaster, kettle, fridge freezer, cutlery, crockery, iron and ironing board. The kitchen has fitted cupboards, worktops, a stainless steel sink and terracotta tiled floor. Master bedroom: large double bed, wardrobe, dressing table, bedside tables with lamp and a patio door leading to the large balcony. Bathroom: shower, toilet, wash hand basin and water heater. The bathroom is fully tiled with wall mounted and under sink storage units. Balcony: patio table with four chairs.